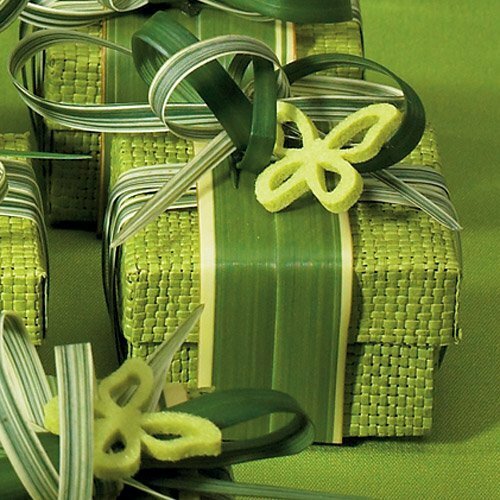 Just another way to go green! 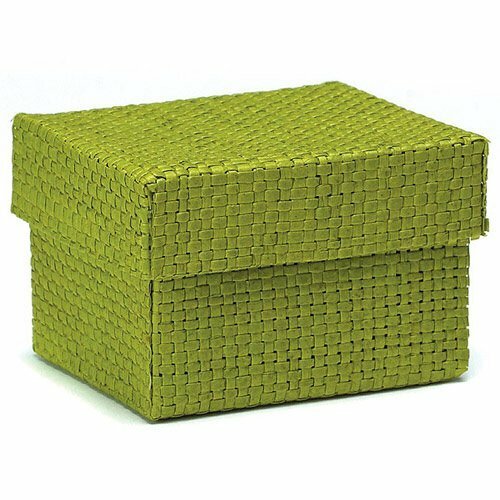 These beautiful woven green favor boxes add an organic feel to reception tables. 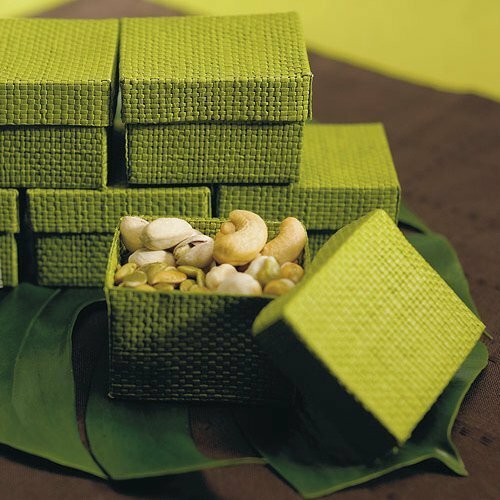 Our natural containers have lids for a classy presentation and will make a charming favor. 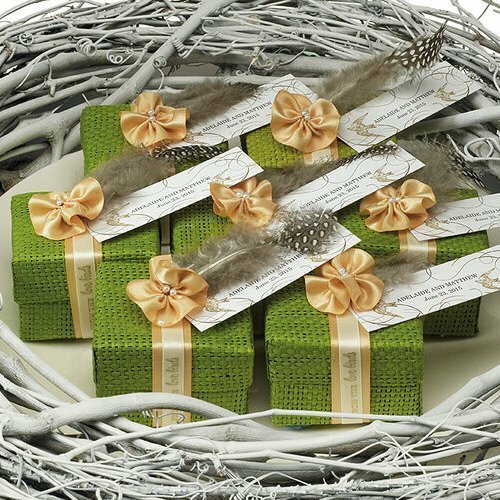 Embellish the boxes with other natural items to make a statement. 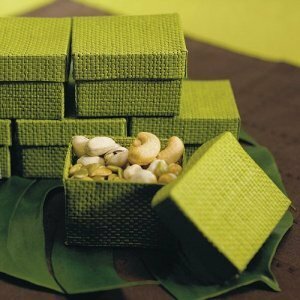 Fill them with edibles or other trinkets to let guests know how much you appreciate their participation in your big day. Sold in sets of 6. Product dimensions - 2-3/8 x 2 x 1-3/4" high.